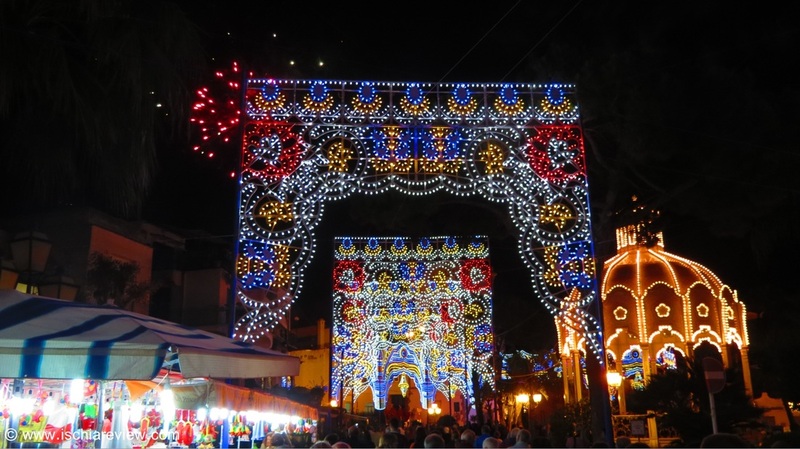 See how the most important religious festivals & holidays in Ischia are celebrated with photos, dates and articles. 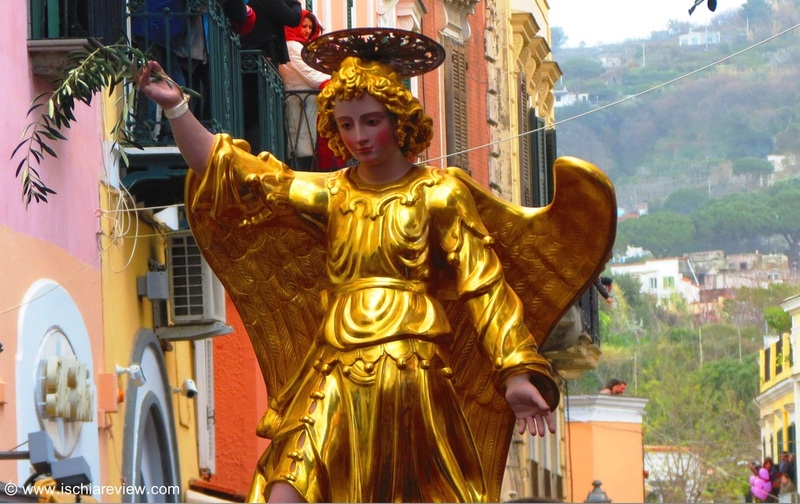 Our guide covers Christmas and Easter as well as each of the most important "Festas" and Saint's Days in Italy. 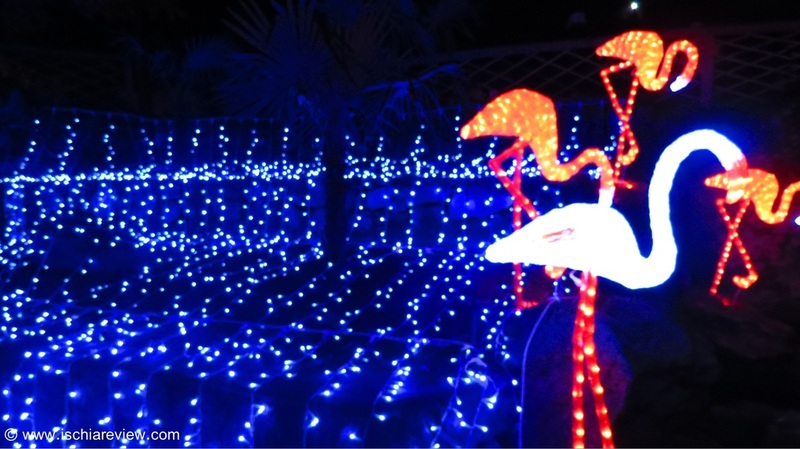 Ischia is full of festive cheer over the Christmas and New Year period with lots of traditional events to mark the occasion. Our guide keeps you up to date with all of the events. 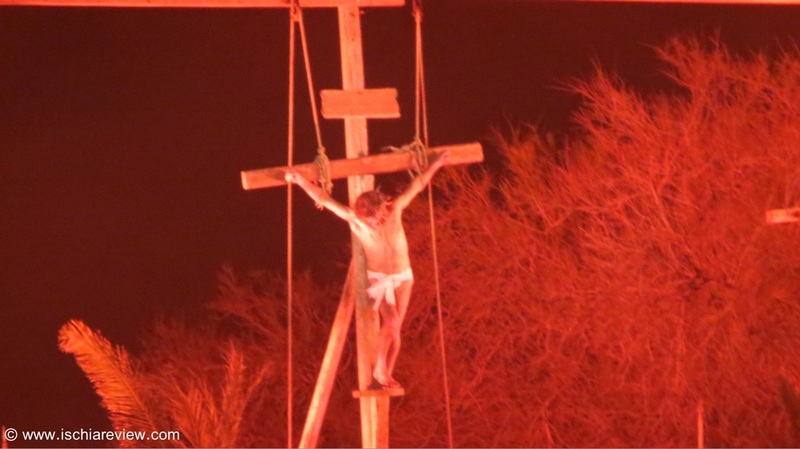 Easter in Ischia is marked by two big events, the Passion of Christ (pictured) which takes in Forio and the Corsa dell'Angelo which takes place in Forio and Lacco Ameno. 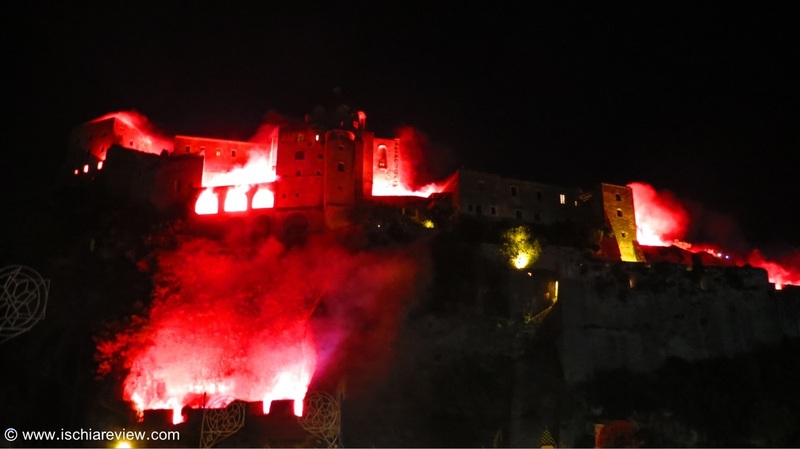 La Festa di Sant'Anna is a spectacular event that takes place on the 27th July around Castello Aragonese. The castle is set alight and there are parades and music. 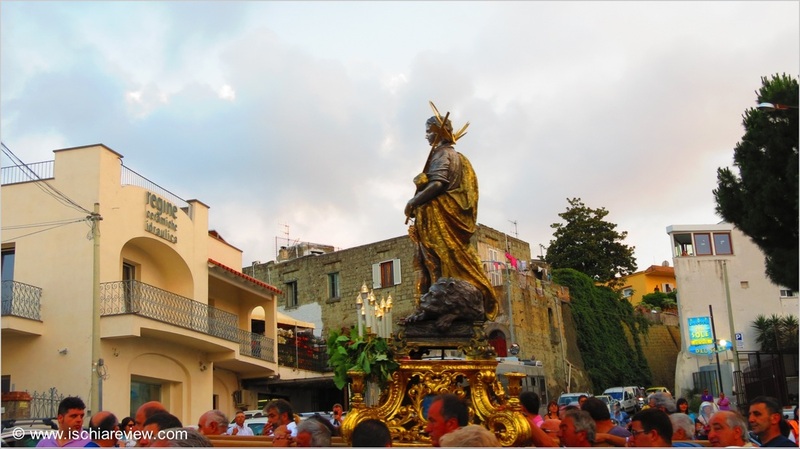 La Festa di Santa Restituta is celebrated in Lacco Ameno between the 17th & 19th May with a series of events including the reconstruction of the Saint's landing in Ischia. 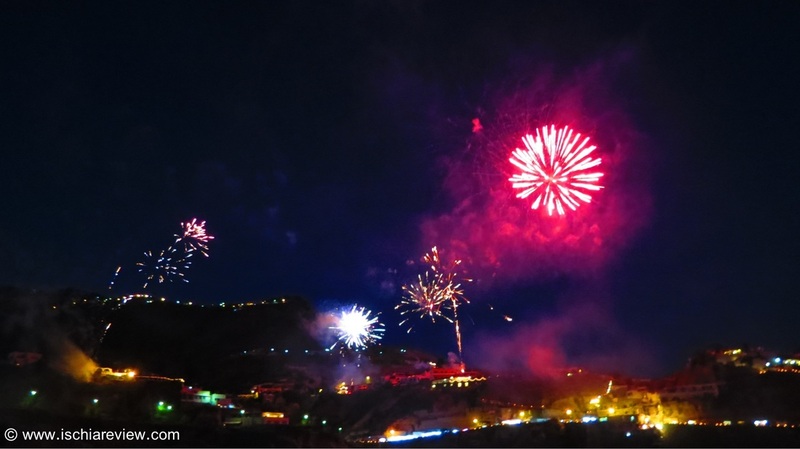 San Michele is patron saint of Sant'Angelo and the town celebrates with a spectacular firework display right along the shore from Maronti Beach to the bay of Sorgeto. 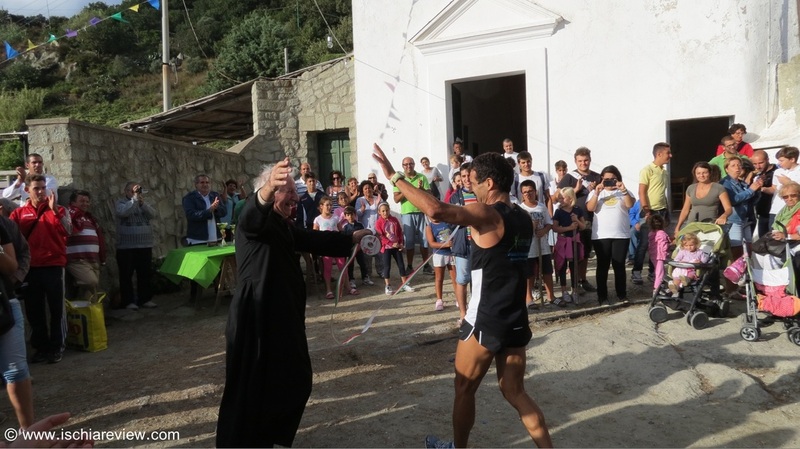 On the 12th September the people of Forio climb up to the church of Santa Maria al Monte to celebrate the Virgin Mary with parties and picnics on the mountain slopes. Every June the town of Forio celebrates its patron saint San Vito with a series of processions, masses and firework displays. The three day event is of great importance in the Ischian calendar. 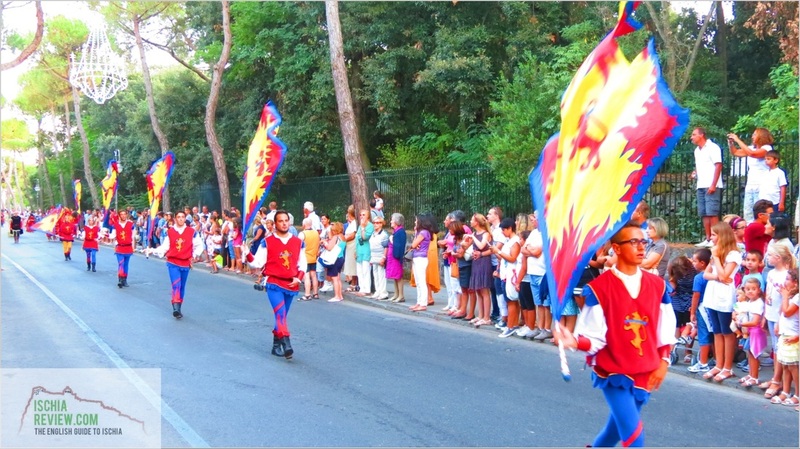 The Festa di Sant'Alessandro takes place on the streets of Ischia Porto in August with a huge parade that features thousands of performers in dressed in a variety of historical outfits and clothing. The 24th of June is one of the most important dates in the annual cycle of events in Ischia. It's the day when the islanders celebrate the legend of San Giovanni with some fascinating traditions.